Mike has been a board member since 2014. A banking professional for more than 25 years, he has held a number of leadership positions. 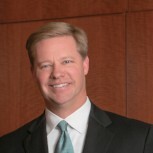 Mike joined First Republic in March 2012 and currently serves as the company’s Chief Banking Officer. He also previously served as First Republic Bank’s Chief Operating Officer and Chief Risk Officers. Prior to joining First Republic, Mike spent 18 years with Silicon Valley Bank, having held a number of leadership positions across the United States. Prior to joining Silicon Valley Bank, Mike worked for HSBC and Wells Fargo Bank. Over the years, Mike has served on a number of boards and non-profit boards, including the advisory board of the Export-Import Bank of the United States, the Network For Teaching Entrepreneurship, The Housing Trust of Santa Clara, and Northern Virginia Family Services. Mike holds a Bachelor of Science degree from Cal Poly in San Luis Obispo, California, an MBA from the University of San Francisco, and he graduated from the Advanced Management Program at the Harvard Business School. Mike resides in Hillsborough, CA with his wife and three children.